The bolt pattern is built to factory spec. unless noted in the text field in the cart. Any can be built with the newer 90 degree pattern or the older NON 90 degree pattern. If YOU NEED THE PATTERN DIFFERENT YOU MUST LET US KNOW in the shopping cart area, otherwise its built to the stock pattern. #8DX. 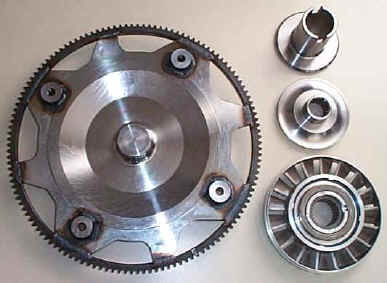 Cummins Diesel single clutch billet converter. 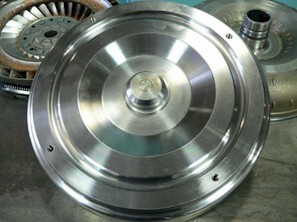 Can be ordered with a billet clutch piston with a large oversize clutch. The billet CNC piston will not flex. 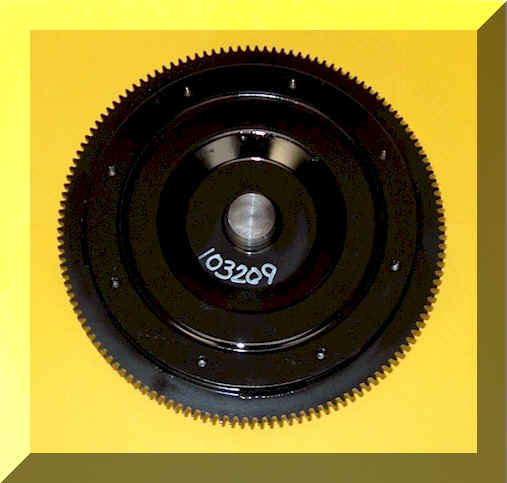 This converter has a red lining that is 38% larger than a stock clutch. 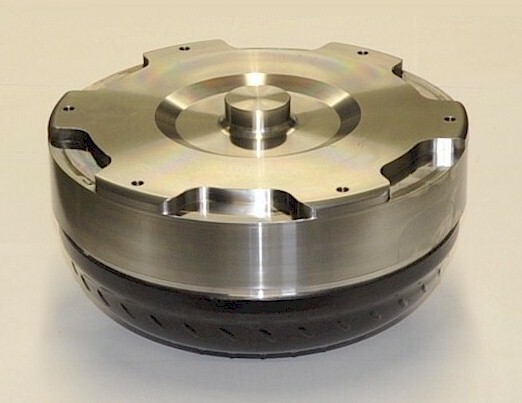 Can be ordered in a lower stall speed with the aluminum billet stator option. The increased power of a modified diesel engine raises the stall speed of stock converters, which is detrimental to vehicle towing performance and drivability. 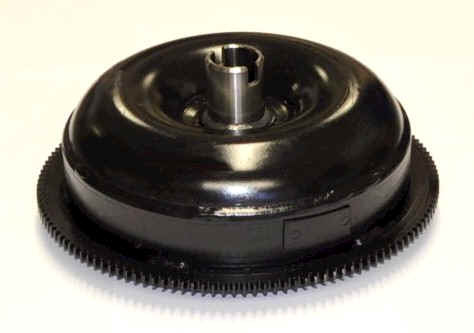 We now offers a low stall stator for Dodge diesel pickup truck owners who have increased the power output of their engines for added towing and general performance. Cost $750.00 plus a refundable $275.00 core charge. Standard build Total $1025.00. Add $150.00 for Billet Piston, add $315.00 for Billet Piston and Stator. #8DXX. " 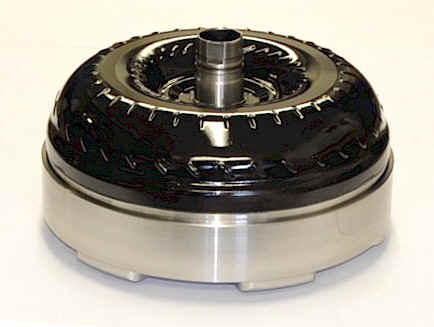 Triple-Disk " Cummins Diesel 618 / 47RE / 48RE Triple Clutch Billet Converter with a Billet Apply Piston. The billet CNC piston will not flex. It has 112 square inches of red clutch apply surface compared to 35 15/16 square inches in a stock converter. This is a whopping 212% increase in apply area. Yes that's over three times the holding ability of a factory converter. 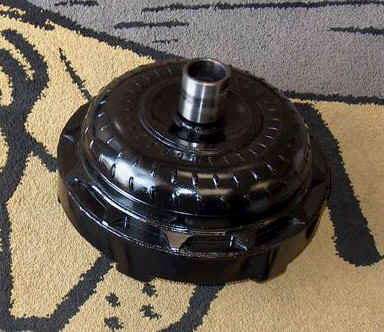 Does your high dollar Dodge diesel converter have a billet clutch apply piston? 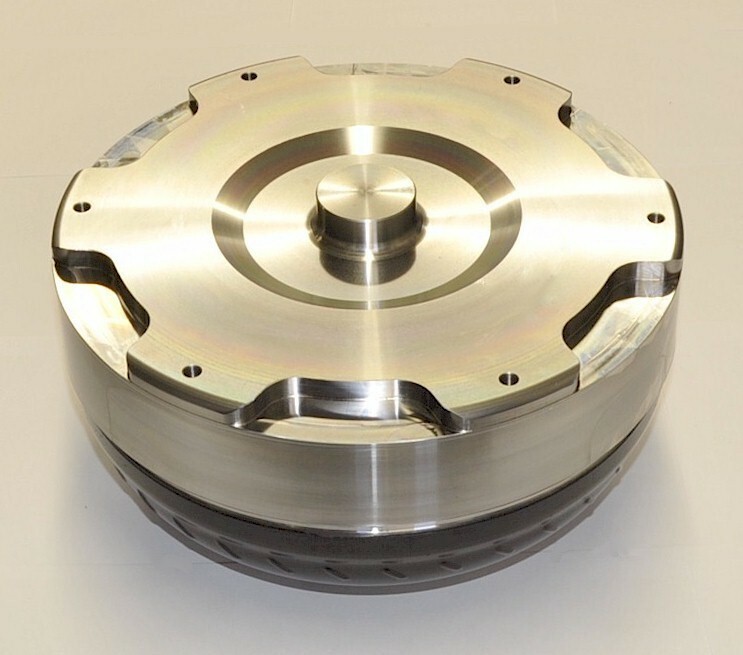 Can be ordered in a lower stall speed with the aluminum billet stator option. The increased power of a modified diesel engine raises the stall speed of stock converters, which is detrimental to vehicle towing performance and drivability. 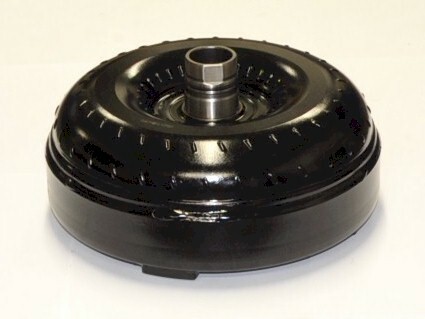 We now offers a low stall stator for Dodge diesel pickup truck owners who have increased the power output of their engines for added towing and general performance. Cost $1175.00 plus a $275.00 refundable core charge. Total $1450.00. 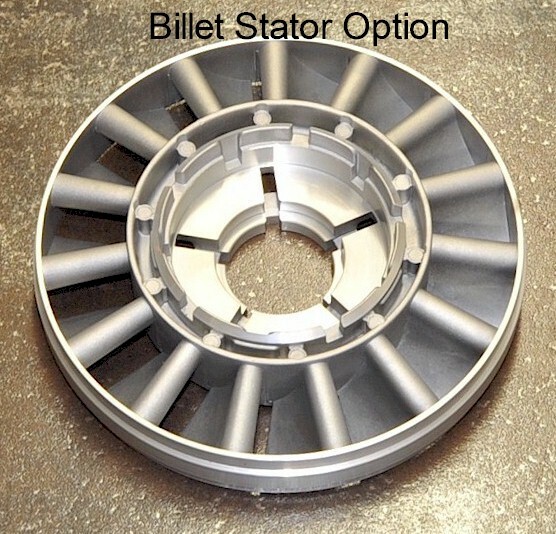 Add $165.00 for Billet Stator. #8SS. Redesigned Velocistator blade count and profiles combine to improve the fluid coupling, transferring more torque to the rear wheels resulting in lower temperatures, increased fuel economy and vehicle performance. 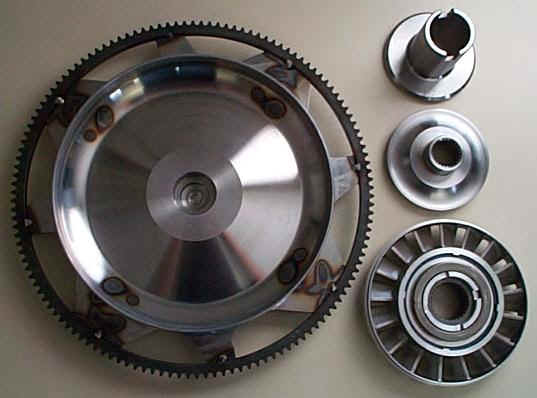 The Steel Velocistator Option can be added to the two above torque converters or bought separately. This stator will lower the stall speed approximately 500 RPM. The increased power of a modified diesel engine raises the stall speed of stock converters, which is detrimental to vehicle towing performance and drivability. 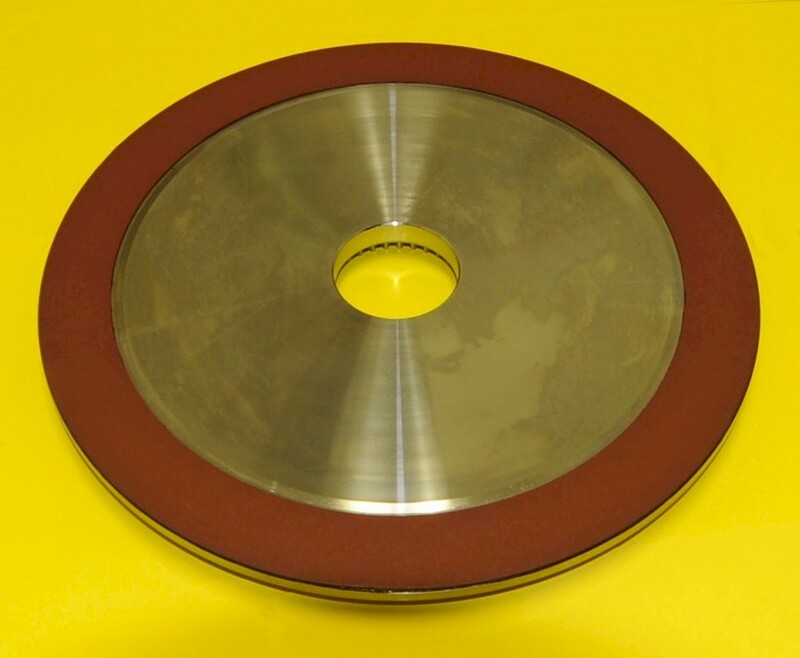 We now offers this low stall steel stator for Dodge diesel pickup truck owners who have increased the power output of their engines for added towing and general performance. 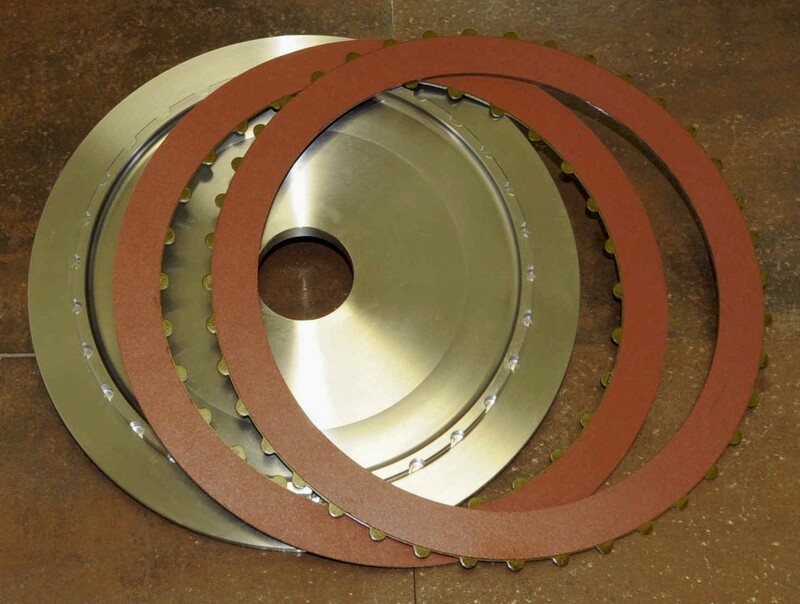 Greatly increased window opening size and increased fluid velocity allows us to provide you with the highest efficiency stator on the market today. The Velocistator is machined from high strength billet steel and built specifically for diesel engines with aftermarket power adders. 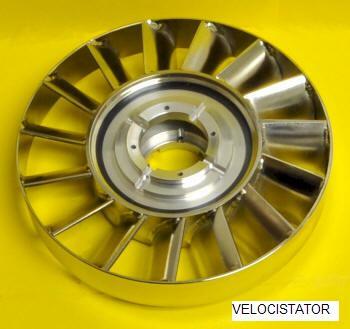 The steel Velocistator is for very high torque engines. 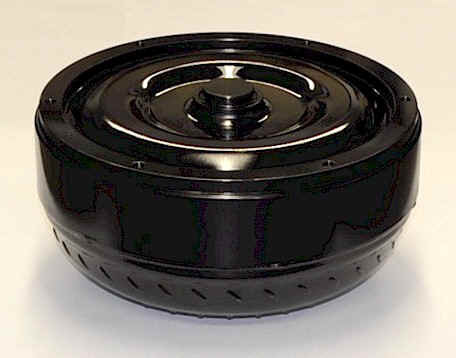 Fits 618, 47RE, 48RE and 68RFE torque converters. 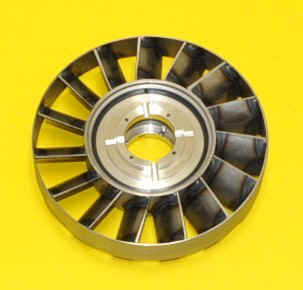 Can be substituted for the billet aluminum low stall stator as an upgrade.